No one wants to receive a call in the middle of the day or night that a friend or family member has been arrested. Dealing with the criminal justice system can be a frustrating and disheartening process that upends the lives of everyone involved. While ASAP Bail Bonds cannot fix the problems with the court system, we can make it easier for you and your loved ones to deal with the immediate aftermath of an arrest by offering affordable bail bonds and exceptional customer service. At ASAP Bail Bonds, we are here so that people who have been arrested can get a bail bond in Barrow County. Contact us 24/7 if you need help getting someone out of jail, or read on for more information about our Barrow County bail bonds, our free warrant search, and more. While the thought of a family member or friend sitting in jail can be difficult to handle, there are two important steps you can take that will make getting them out faster and easier. In addition to information about the accused, we will also need some information from you. Most of this information is fairly basic (name, address, and phone number) but we will also need you to bring in money for the premium, as well as information on collateral. If you have more questions about what will be required of you, please ask us when you call. We can work with you to create a payment plan that you can afford if the premium is too expensive to pay all at once. The second step to take after someone you care about has been arrested in to call the ASAP Bail Bonds office in Barrow County. After you call us, we will begin to work on bailing out your family member or friend. We will contact the court, pay the bail, and find out when and where the accused will be released. After that, we will discuss what your responsibilities are and offer whatever help we can. Before the trial, we will check in periodically to see how things are going and to answer questions about bail or a bail bond. Bail is a constitutional right that allows people who have been charged, but not convicted, of a crime to be released from jail before their court date. Bail lets the accused continue to work, spend time with their friends and family, and mount the best defense possible. During the accused’s first court appearance following their arrest, the judge will determine whether or not the accused is eligible for bail, and will then set a bail amount. The amount of bail will be determined by a number of factors, including the severity of the crime, the accused’s criminal record (or lack thereof), and whether the judge or other officers of the court believe the accused to be a flight risk. After the final trial, if the accused complied with all of the court’s orders before adjudication, the full bail amount is returned. If the court determines that the person accused of a crime is not a risk to the community and are not likely to run, they will set the bail amount. Bail can run into many thousands of dollars. The high cost of bail prevents many people from being able to get out of custody while they await trial. Luckily, there is another option — a bail bond. A bail bond is an agreement between the accused, the court, and the bail bondsman. The bondsman will pay the full amount of the bail to the court to secure the accused’s release. 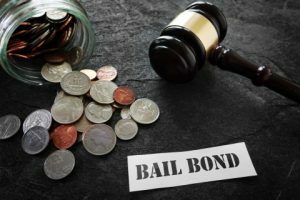 Whoever cosigned the bond with the accused will pay a premium (a certain percentage of the overall bail cost that is non-returnable) and put up collateral in case the defendant does not show up at court. Bail allows people who are accused of a crime to enjoy the freedoms that they are entitled to. Everyone in America is presumed innocent until proven guilty. The ability to be bailed out of jail helps ensure that your rights are not being infringed upon. Learn more about bail bond terms, here. If you have any questions about bail bonds or you need to start the process of bailing someone out of jail with the help of a caring and qualified bail bondsman, give us a call at ASAP Bail Bonds today. Misdemeanor crimes are one of the most common reasons that people are arrested and can include everything from petty theft to assault. In this section, we will talk about some common misdemeanor crimes. 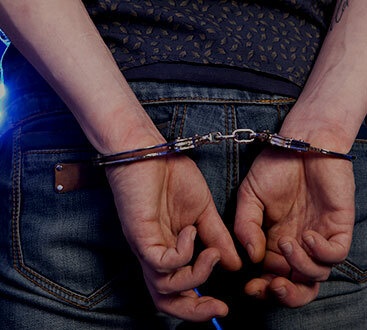 If someone you know has been arrested and charged with a misdemeanor, please give us a call. We can start the process of bailing them out quickly. Driving under the influence of alcohol or drugs can be a serious crime. Not only is it an arrestable offense, it can also lead to the suspension or loss of a driver’s license as well as jail time, drug and/or alcohol classes, probation, and more. When someone you know has been arrested for DUI, please give us a call. We will work with you to help get them out of jail so they can go back to work and lead a normal life while they await trial. After they have been released on bail, it is always a good idea to consult with an attorney who has experience defending people from DUI charges. A DUI can be severe, but it does not mean that someone should have to spend weeks or months in jail awaiting their trial. In order to have the best shot at a good defense, bail allows the accused to keep working in order to pay for an attorney. ASAP Bail Bonds can help, so call us now. While some drug charges are felonies (which are covered in more detail in a later section of this page), minor drug charges, including some forms of possession as well as driving under the influence of drugs, are misdemeanors. Even though they are less severe than felony drug charges, they can have an oversized impact on the life of defendants, especially if they have to remain in jail before their trial. At ASAP Bail Bonds in Barrow County, we want to help you get out of jail so you can prepare for your trial. Contact us day or night to get started on the bail bond process. Some driving charges that don’t involve drugs are misdemeanors. Reckless driving, aggressive driving, and driving without a license, are all charges that may end in arrest. You don’t have to let a mistake you made while you were driving ruin your life. Give us a call now to find out how we can get you, a friend, or a family member out of jail before their trial on misdemeanor driving charges. Vandalism, trespassing, and petty theft are examples of property crimes that may be misdemeanors. The amount of damage, the cost of stolen items, as well as the alleged intent behind the crimes can also contribute to the severity of the charges. Regardless of these factors, at ASAP Bail Bonds, we can bail people out of jail on many different misdemeanor property crimes. Felonies are serious charges. They carry much higher penalties than misdemeanors and, depending on the individual charges, may prevent someone from being allowed bail. However, if someone in your life has been charged with a felony and had a bail amount set by a judge, contact ASAP Bail Bonds today to see how we can work with you to secure a bail bond. Felony charges can result in higher bail amounts, but with the proper collateral, it is still possible to obtain a bail bond. Give us a call today to discuss your individual situation and to find out what kind of costs you are looking at. We always offer no-obligation consultations so that you can make the best decision for you and your family. A warrant may have been issued for your arrest for any number of different reasons. If you believe that you have a warrant but you do not want to go to a local police department to find out, you can give ASAP Bail Bonds a call. We can complete a warrant search that covers the Metro Atlanta area. Best of all, our warrant search service is absolutely free. If you have a warrant, letting us find out for you gives you the freedom to get your business in order before you turn yourself in. 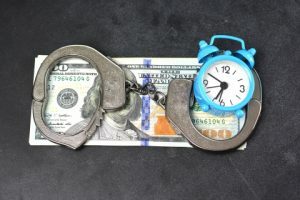 We can even begin getting the process for a bail bond started before you ever go in, which can greatly reduce the amount of time that you have to spend in jail. If planned correctly, you could be out in a matter of hours instead of days. The free warrant search is just one of the ways that we like to help out the community. By providing you with the knowledge you need, it is possible to take care of any legal obligations in a manner of your choosing. Give us a call now and find out if there are any warrants that you need to take care of or if you need to help bail someone out. We are always ready, willing, and able to help! While ASAP Bail Bonds does not offer legal advice or provide legal services, we will always do our best to help explain or clarify the situation. We are always upfront about what our obligations are to you and what your obligations are to us. We believe that clear and open communication is the best method of communication, especially when dealing with the legal system. ASAP goes above and beyond for our clients. If you have questions, call us. If you are worried that you might not be able to make it to your court date on time, call us as soon as possible and we will figure out a way to get you there. We believe that everyone has the right to be treated with respect. For bail bonds in Barrow County, no one can help like ASAP Bail Bonds. Call us today. A bail bondsman has already-established lines of credit with the Barrow county court systems. He can make arrangements to pay the court the full amount if the defendant does not return to court, in exchange for a down payment from the defendant or his loved ones that is only a percentage of the total cost. This makes bail affordable to most people. 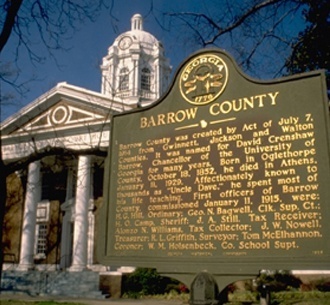 What happens between arraignment and trial in Barrow County? The bail bondsman then stays in touch with the defendant and his loved ones throughout the legal process leading up to trial. He will help to explain legal proceedings and to help the defendant make it to the trial successfully. If the defendant appears on trial day, the bondsman’s account is credited back the money that he put up for bail. The bondsman may have some additional expenses that will be charged to the defendant. If the defendant does not appears for trial, of it he is late, the bail bond is forfeited to the court. The bondsman loses his money, so he will proceed to collect it from the defendant and the person or person who applied for the bail bond. In Barrow County, the bail bondsman is held responsible for finding the defendant who has missed the trial. We have resources for tracking and apprehending defendants, however once a defendant misses his court date, bail is likely to be denied. We are dedicated to serving the residents of Barrow County, including the citizens of Winder.